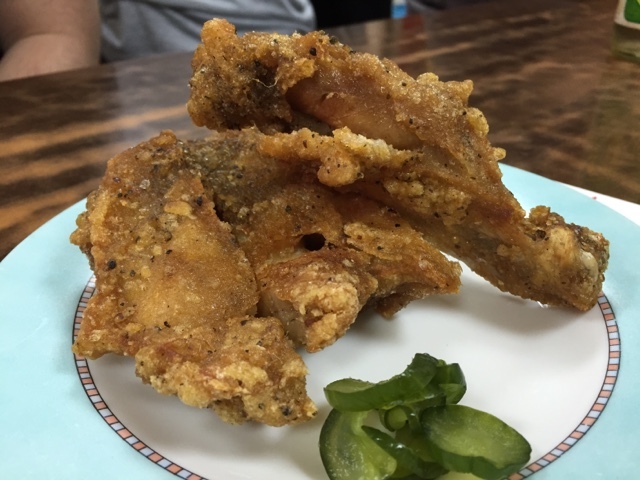 Similar to Anthony Bourdain's The Layover, this page shares what a traveller can do, eat, visit and enjoy within 36hrs in Taipei. Due to our heavy schedule, my friend and I usually go for weekend trips to unwind and rejuvenate before heading back to work the next day. 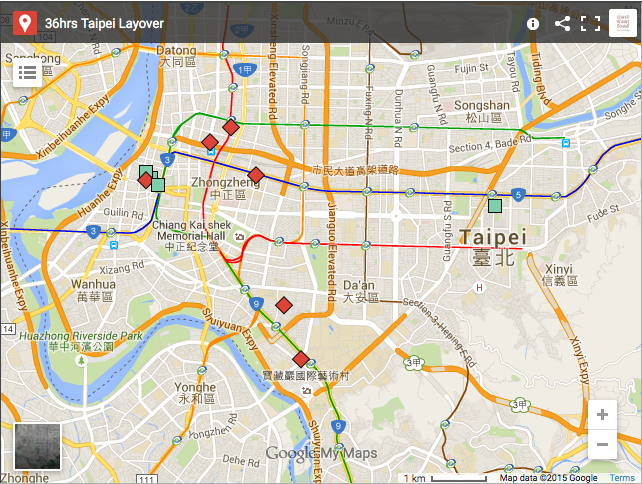 On this page, we share our 36hrs weekend trip to Taipei. We took the 1.05am flight to Taipei on Saturday via Jetstar Asia and arrived the city approximately 4hrs later. 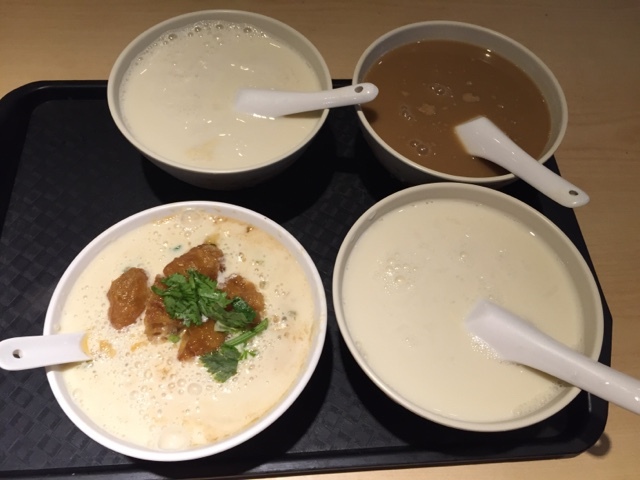 Upon our arrival, we took a cab to Yonghe Soy Milk King (永和豆漿大王) at Da'an district. 6:00hrs - We exited the international airport and hopped onto a cab to the city. 07:00hrs - While chatting with the cab driver, we were told that Fu Hang Dou Jiang (阜杭豆漿) at Huashan Market was the best and recommended that we should go there instead. 8:00hrs - It was too early to check into the hotel. So, we walked to Q Square to catch an early morning movie - Ted 2. You could buy tickets at a discounted price if you watch a movie before 12nn. We watched the 8.45am screening. 11:00hrs - We shopped around Q-square and explored the underground mall at Zhongshan Metro Mall. We exited from Zhongshan MRT station and found ourselves at Shin Kong Mitsukoshi (星光三月). 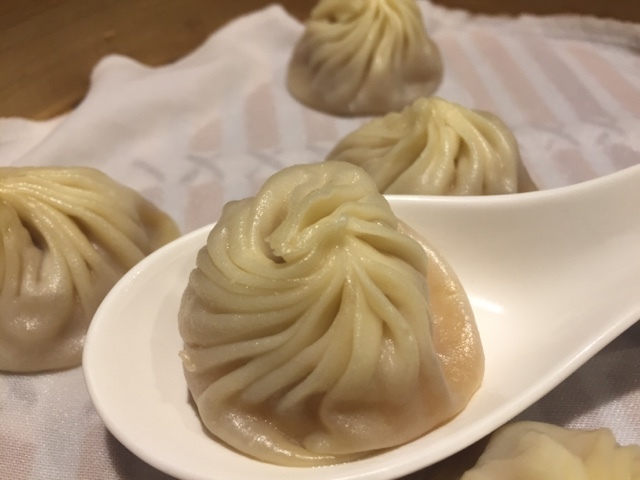 We shopped around and found Din Tai Fung (鼎泰豐) at the basement of the mall. 14:00hrs - By 2pm, we were already groggy and were attacked by the Z monster . We took the subway to Ximen Station towards Ximending (西門町). 15:00hrs - We checked into the Hotel - Amba Ximending Taipei and take a nap. 18:30hrs - After a quick nap, we were rejuvenated. We washed up and headed for Shida Night Market(師大路夜市) at the Da'an District. 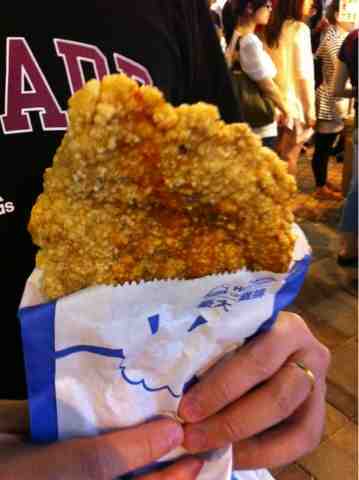 A smaller night market, compared to Shilin Night Market, offered more apparels and manageable crowd. It was much easier to walk at Shida than Shilin. Of course, the tour ended quickly too. 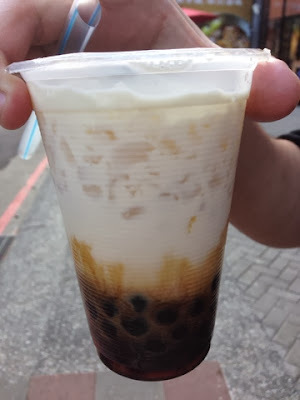 20:00hrs - We had cravings for milk bubble tea - Chen San Ding's black sugar "frog" fresh milk drink (陈三鼎黑糖青蛙鲜奶创始店)at Gongguan Station. 21:30hrs - For the first time, we explored Gongguan at night. 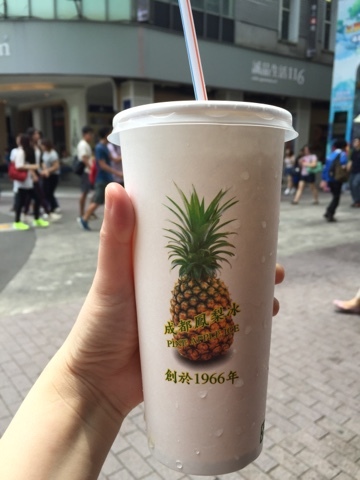 It was equally vibrant as in the day as its location was near the universities like National Taiwan University. And we ended our night at around 22:00hrs. 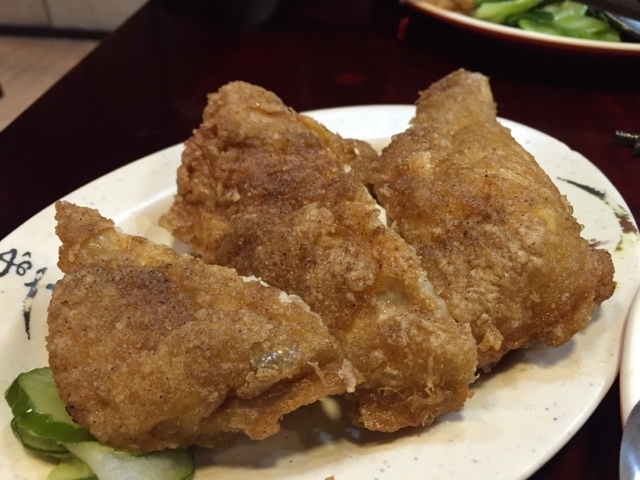 12:00hrs - Upon checking out, we headed to Jin Man Yuan Pork for lunch, followed by Jin Xuan Pork. And tried their traditional beverage from Chengdu Carambola (or Star fruit) Ice (成都楊桃冰). 14:00hrs - We headed to Eslite Bookstore at XInyi District to check out the books. 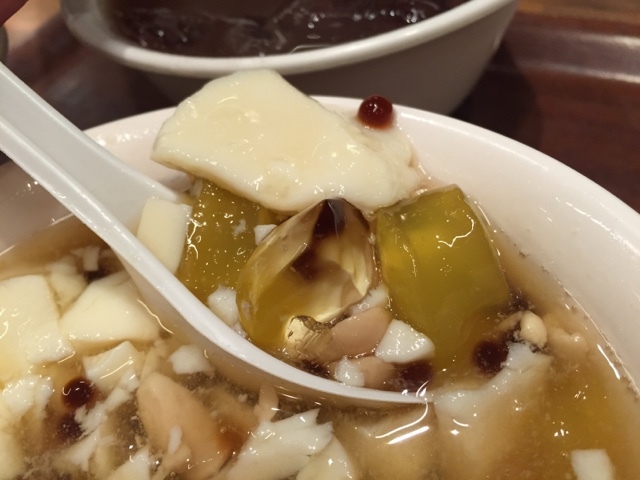 We had dessert at Xiaonanmen (小南门传统豆花), which is popular amongst the locals and tourists alike. 16:30hrs - We made our way to Taipei Main Station to catch the 17:00hrs coach to Taoyuan Taipei International Airport. The coach fee was about TWD130 each. 19:55hrs - We boarded the plane enroute to Singapore.